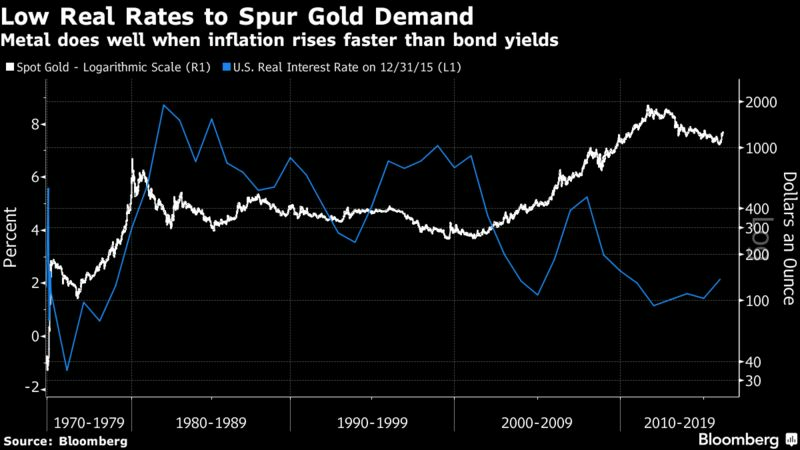 Baring Asset Management’s Christopher Mahon has one major conviction about 2017: it will be the year in which central-bank bashing by politicians becomes the new normal, so he’s seeking shelter in gold. For the first time in more than two decades, politicians are encroaching on the autonomy central bankers expect to manage growth efficiently. Donald Trump has criticized the Federal Reserve for creating a “big, fat, ugly bubble” in the market by holding interest rates near zero. U.K. Prime Minister Theresa May said in October that a change has to come to Bank of England monetary policy. German Finance Minister Wolfgang Schaeuble has suggested that the European Central Bank share the blame for the rise of populism in Europe. Read more: a QuickTake on Fed policy. Meddling in monetary policy can create problems because politicians and policy makers don’t generally share the same objectives. While central bankers typically target inflation in order to keep growth ticking over without overheating, elected officials tend to get more votes in times of rapid economic expansion. “Gold used to be the center of the global financial system, for that reason it has a reputation as a currency — but as a currency that’s not issued by governments and not controlled by governments,” Turner said. The investment community is split on how Trump will impact gold prices. Since his election, money managers have been pulling money out of SPDR Gold Shares, the world’s largest gold-backed exchange-traded fund, as they seek bigger returns in stocks. At the same time, retail investors have been flooding into the iShares Gold Trust. Gold has risen 6.7 percent since hitting a 10-month low on Dec. 15 and was at $1,197.67 an ounce Friday. 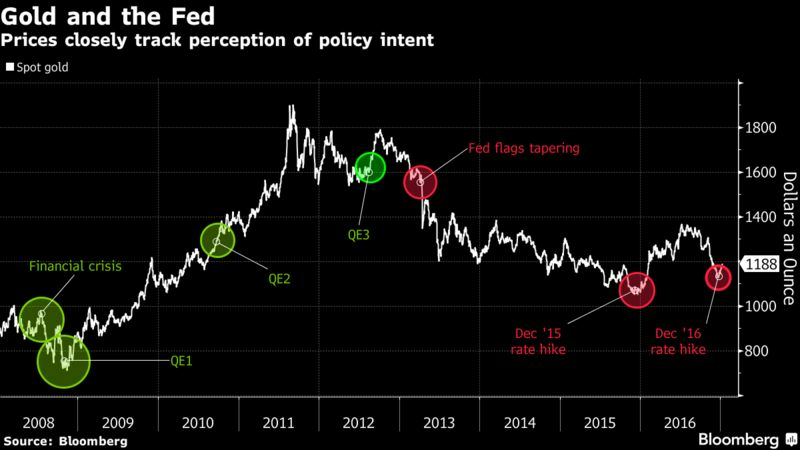 Baring’s Mahon, who bought his exposure through ETFs, says that while 2017 is a watershed, his conviction on the politicization of central banks is one that will play out over several years, making gold a safe bet for the long term.